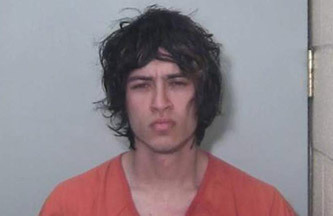 Tempe, AZ (January 26, 2019) – Tempe Police department has arrested a man accused of stabbing his pregnant Lyft driver killing both the woman and her unborn child in a suburban part of Phoenix Saturday evening, January 26th. According to Tempe Police, the suspect, identified as 20-year old Fabian Durazo, had accessed the Lyft app from his cellphone and requested a pickup from the ride-share. Durazo was picked up by 39-year old Kristina Howato in West Tempe according to GPS information that was taken from Howato’s Lyft Driver app. Durazo allegedly attacked Howato when they arrived at an apartment complex about a half-mile away and he fled in her SUV. Tempe Police Sgt. Ron Elcock says officer responded to reports of a woman who was stabbed screaming in the parking lot of the apartment complex sometime around 1:30 A.M. Witnesses say they rendered first aid to the woman, “She walked over to my neighbor’s apartment there, that’s where she was banging on the door, yelling for help,” the witnesses told authorities. The witnesses say that there was blood everywhere continuing, “I asked her what happened. She said she was stabbed. I tried to locate the wounds. I asked her where she was stabbed. She said, ‘All over,'” the witnessed said. The victim gave a brief description of Durazo before falling unconscious. First respondents arrived and found Howato suffering from multiple stab wounds. She was transported to a nearby hospital where both she and the unborn baby died. Arizona Department of Public Safety officials used GPS tracking to locate Howato’s stolen SUV driving on Interstate 10 near Quartzsite, about 25 miles from the Arizona-California line some 150 miles from Phoenix. Durazo was arrested and is being held at a La Paz County jail on suspicion of 2 counts of 1st degree murder and 1 count each of kidnapping and armed robbery, authorities said. Police said they don’t believe Durazo and Howato knew each other and a motive for the fatal stabbing remains undetermined. Lyft says it is assisting with the investigation, adding that the passenger’s account has been permanently deactivated. Howato was in her third trimester of pregnancy and is survived by two other young children.